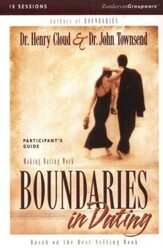 Learn how to reorder your romantic life and find more fulfillment than a date could ever give! 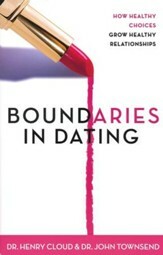 Based on biblical principles of sincere love, true purity and purposeful singleness, this paperback provides an alternative to playing the dating game. Tired of the game? Kiss dating goodbye. Going out? Been dumped? Waiting for a call that doesnt come? Have you tasted pain in dating, drifted through one romance or, possibly, several of them? Ever wondered, Isnt there a better way? I Kissed Dating Goodbye shows what it means to entrust your love life to God. Joshua Harris shares his story of giving up dating and discovering that God has something even bettera life of sincere love, true purity, and purposeful singleness. Joshua Harris lives outside Washington, D.C., in Gaithersburg, Maryland, where he's a pastor at Covenant Life Church. His greatest passion is preaching the gospel and calling his generation to wholehearted devotion to God. Each January he leads a national conference for singles called New Attitude. 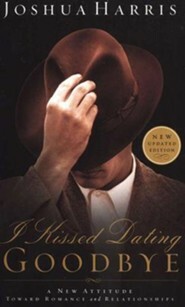 I'm the author/artist and I want to review I Kissed Dating Goodbye, A New Attitude Toward Romance and Relationships.